God may give you a clear dream with an unexpected path. We are impatient to get started. Once God confirms our life's calling, we want to dive straight in. But God often orchestrates a detour for our benefit that prepares us for more than we could ever imagine. 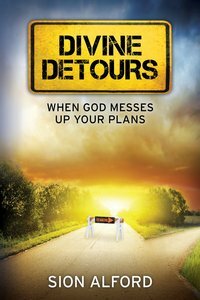 About "Divine Detours: When God Messes Up Your Plans"
chapter 1: What Makes Your Baby Jump? chapter 5: Bitter Or Better? chapter 6: Ambition Or Burden?